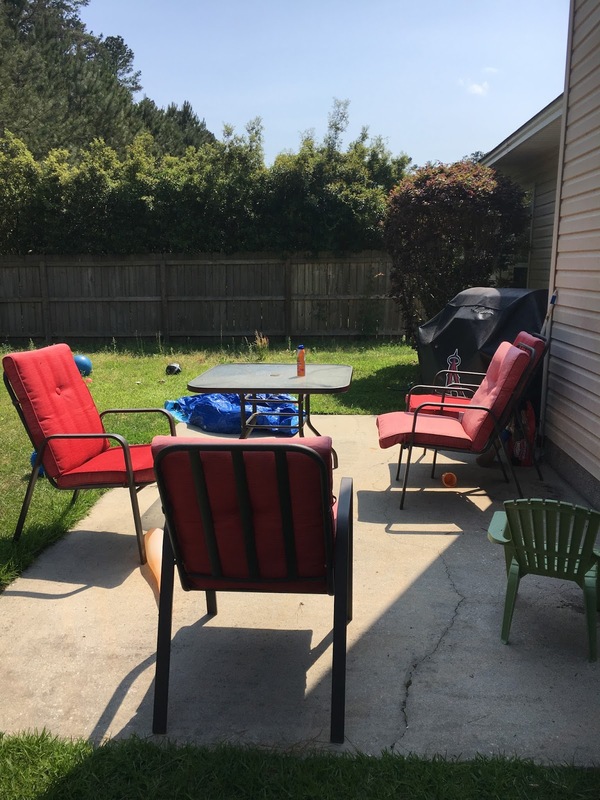 Since we've moved into this house last summer I haven't had a chance to set up our backyard. But I knew I wanted to start brand new with everything. After two moves in two years our stuff wasn't taken care of properly. Cushions are faded, furniture is wobbly and rusty. As you can see we have the room it just needs a bit of a facelift. It's time for something new and fresh. Something that represents the rest of the style and decor of the house. My style is very eclectic! It's like a combination between vintage, modern, boho and chic. If that's even possible. I don't want something that looks like a museum just an updated version. With a little flea market style thrown in. I may be all over the place but my chaos works at the end of the day. Everything ties in nicely. I really wanted to have an oasis in the backyard. I like reading outside while the kids play. I like having BBQ's and roasting marshmallows for s'mores. 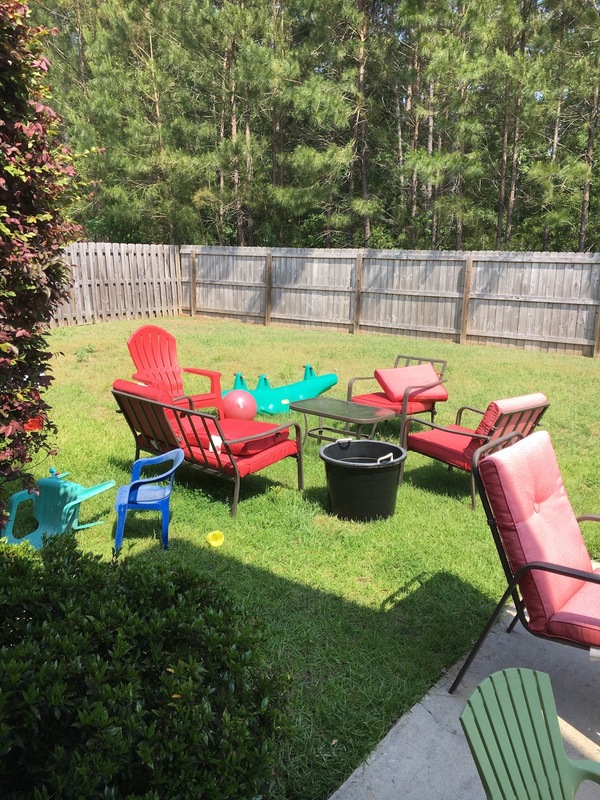 But let's be realistic I have kids who constantly leave my backyard in shambles. Toys are left out and getting rained on, or broken. It's just a hot mess all the time. I needed some ideas that suited my style but also my life as a mom. Aside from the broken toys I knew the kids and all their little friends would attack anything of mine with their dirty, sticky little hands. 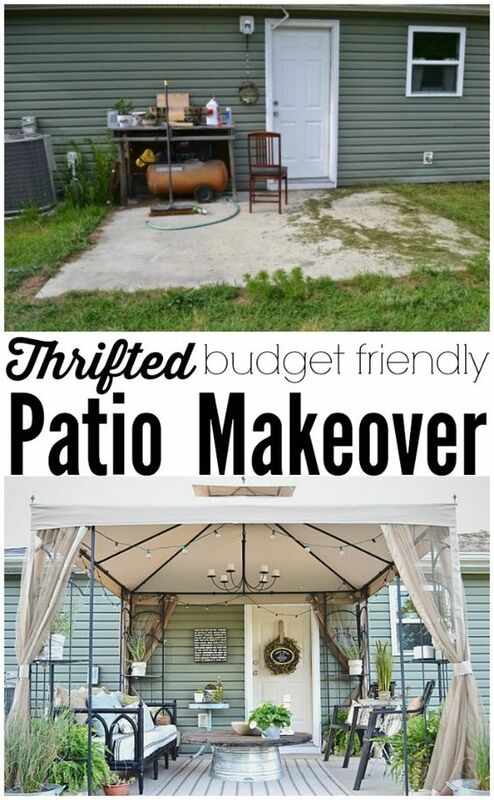 So I started searching for awesome ideas to transform my backyard for this summer. A few things I've had my eye on for awhile are outdoor string lights. I think they always set the mood for outdoor entertaining. Obviously a new conversation set as well. What we have just takes up too much room. I need something clean, and put together. 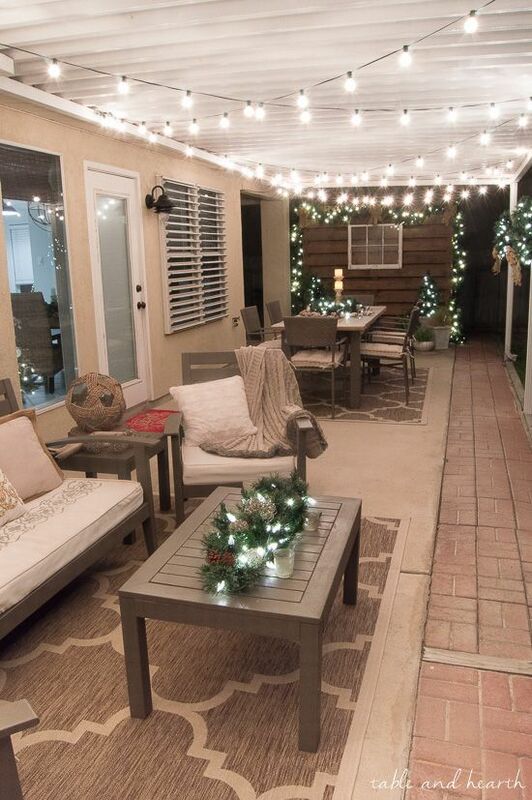 What ideas do you like for our backyard makeover? I've included Wayfair's list of decorating trends for this year. I'm especially loving the sunbrella fabric every mom wants to hear those words "easy to clean". Everything on this list has something for everyone. It's a great jumping off point to get started before summer hits so you can enjoy it in a nice decorated space! Conversation sets can look and feel just like your indoor sectional, and Sunbrella fabric makes them extremely easy to clean. Position pieces around an outdoor coffee table or even a fire pit for the ultimate backyard living room. If you’re tight on outdoor space, bistro sets can add a huge punch of personality in a small package. Easily transform your patio or deck into a Parisian sidewalk café. 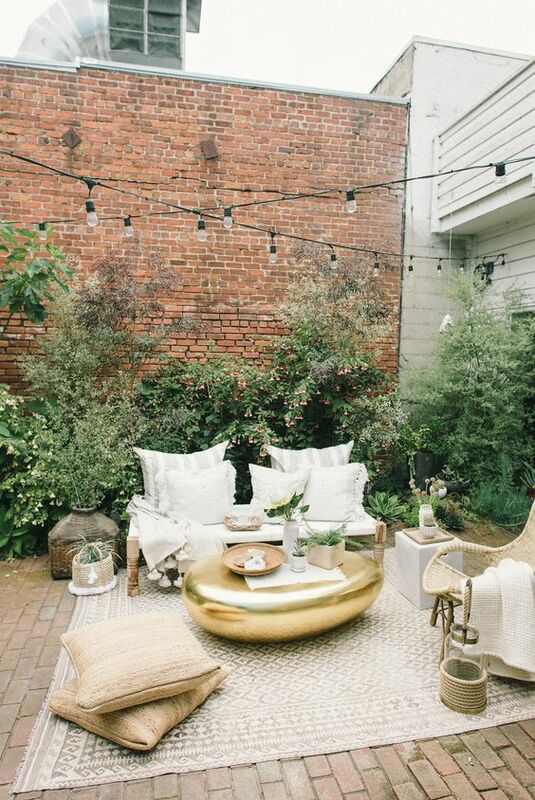 To really nail that café look, add outdoor string lights above your eating space. Solar options mean lights can go absolutely anywhere with no worry of extensions cords and plugs. Take the bar outside with a serving cart made to withstand the outdoors. Load it up with drink choices, mixers, maybe even some fresh fruit—and of course, glasses. Let your guests help themselves! 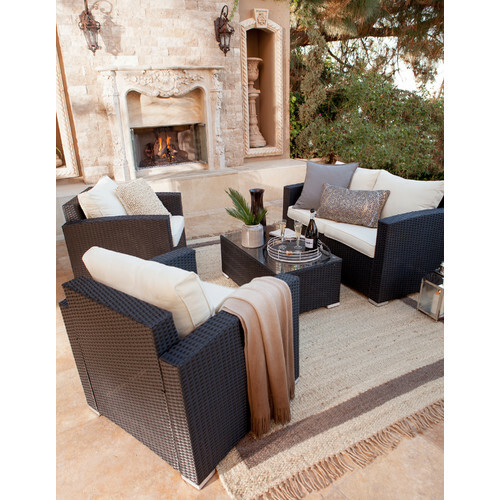 Timeless wicker remains the top material choice for outdoor furniture. It’s now available in more colors that ever, and accompanying cushions give you limitless décor options.